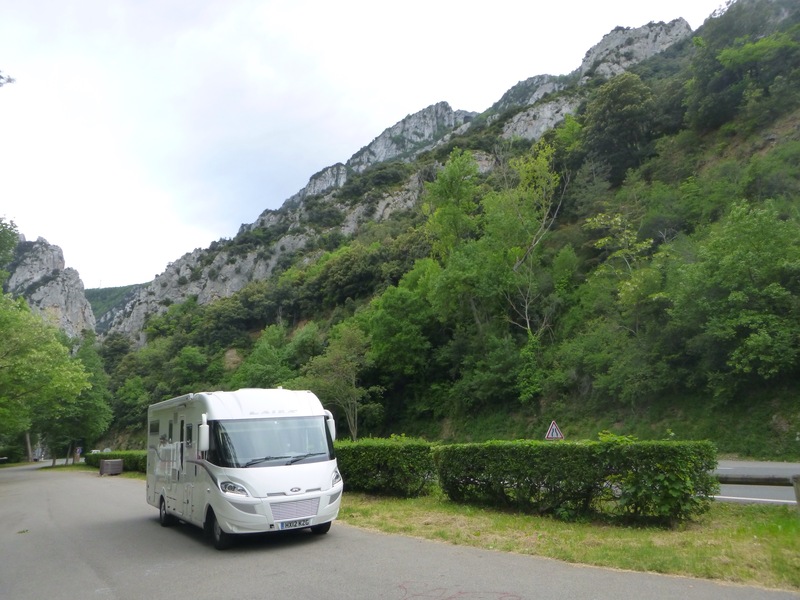 We travelled north along the coast past Tarragona, Barcelona, Gerona and on into France before turning west from Perpignan on the D117. 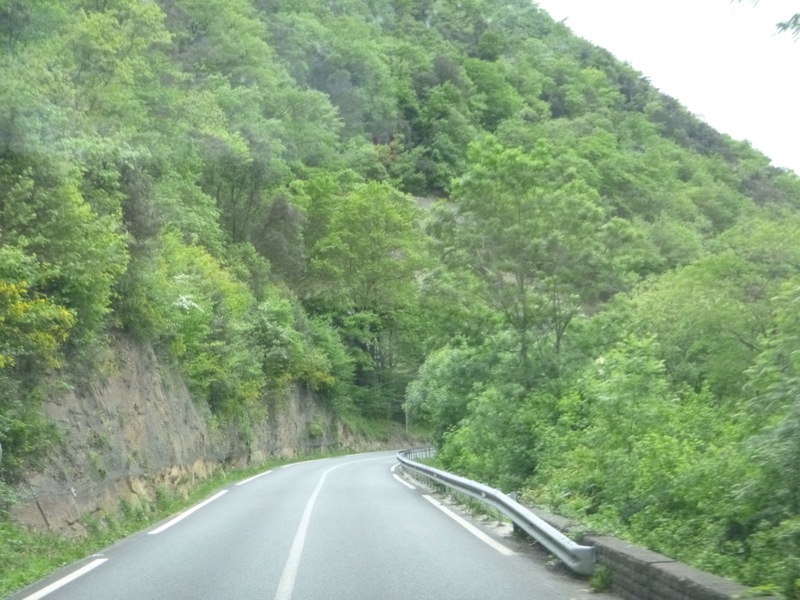 It was 27° and windy when we stopped for lunch just before the French border; as we left the restaurant it had clouded over and had started to rain. The temperature dropped to 21° as we climbed into the hills. It was a spectacular drive through wine producing country and the vineyards stretched away to the mountains in the distance. 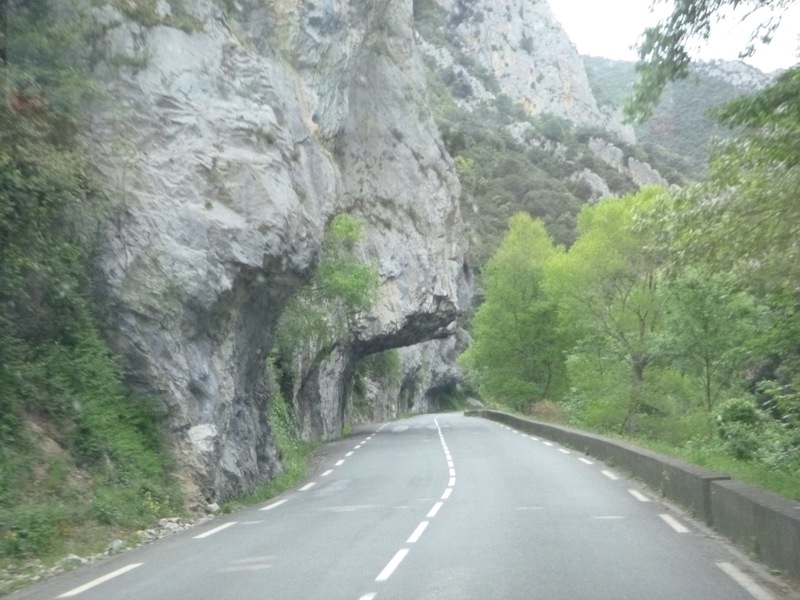 Then road followed the River Aude into high country, through a ravine with overhanging rocks where folk braver than us were able to do white water rafting. 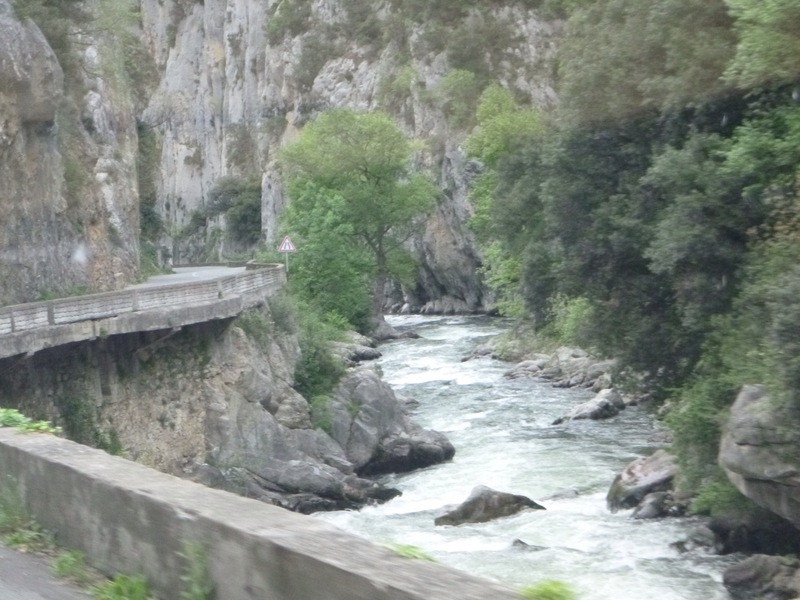 At the other side of the ravine was the town of Quillan. 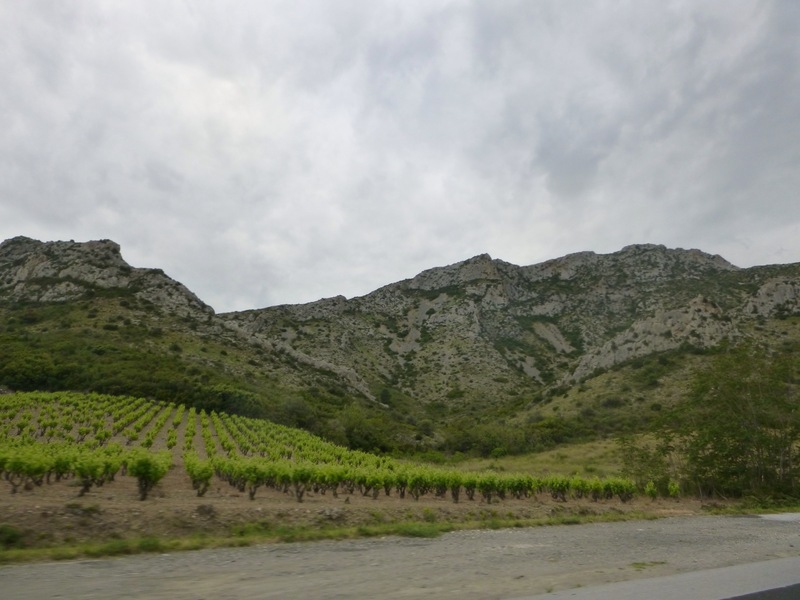 This entry was posted in France, Spain by Mopelia. Bookmark the permalink.